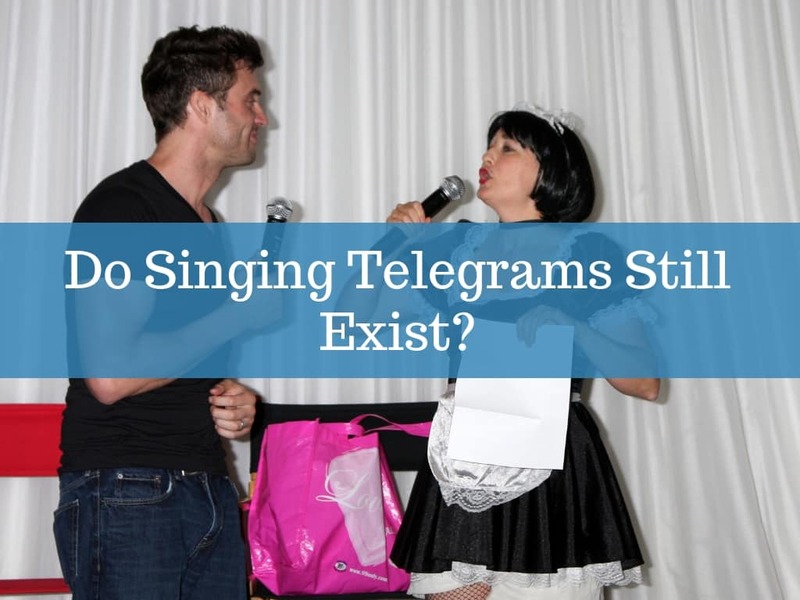 You are here: Home › Singing telegrams › Do Singing Telegrams Still Exist? The idea of the singing telegram was born in 1933 when Western Union started offering this service as a way to entertain clients. This is a message that is usually given as a birthday present. Instead of giving a simple letter that contains the greetings, they turn the message into a song. The company originally thought of the idea as a way to change people’s mindset about telegrams. They wanted to erase the notion that the telegraph was only for death and other tragic news that were associated to telegraph companies. A gift in musical form as performed by a talented artist is quite special. With singing telegrams, the songs are personalised and are usually originally composed for the recipient. The people who will be delivering the message will also dress up according to the theme or in a way that will surprise and delight the receiver. The main idea here is to personally write a song that is focused on the person who will be celebrating a birthday or any milestone in life. A singer will be asked to sing and it will be recorded in a DVD. This way, it will be handed to the person and they will be able to listen to the personalised singing telegram anytime. This is also called the kissing telegram. Instead of sending a letter that is sealed with a kiss, you can send a greeting and ask the deliverer to give it along with a kiss. The people who are asked to deliver the message usually arrive in costume to make the event fun and memorable for the receiver. If you want to make the event fun and flirty, you can send the message along with a female or male stripper. This is one of the most popular ways to surprise someone on their birthday or bucks’ night. The stripper will be singing and dancing as part of the package. Make it more surprising and fun by asking the stripper to pull off a prank before delivering the message. After all, the main point of a singing telegram is to provide amusement to the person who is celebrating a birthday or any other occasion. In 2011, Western Union announced the official return of singing telegrams. With the changes in the modes of communication, there are new options that include the use of social media in delivering the musical message. They also introduced the new ways of delivery via e-mail and social media. Now, there are different companies around the world that are offering this service. The scope has also expanded, and more and more people are looking forward to receiving a singing telegram during their special day. It can be sent as a congratulatory message, a gift for anniversary celebration, a birthday surprise, or just a way to make an ordinary day special. With the abundance of options on how to make singing telegram more fun, it is indeed a classic way to make someone smile. Are you looking for a way to surprise someone on their special day? Make it memorable by drafting a special message that will make the person smile. Book a professional stripper with Damien’s Party Entertainment. We will deliver the message and will surely make your friend the happiest person on their special day. A singing telegram along with a stripper is unforgettable. Contact us today!